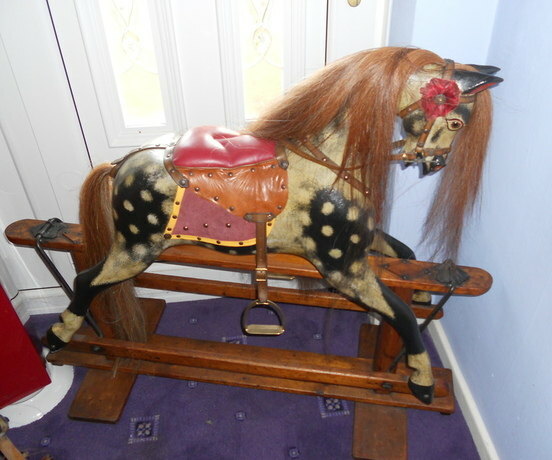 Baby Carriages are a very nice mid range antique rocking horse with a lovely tucked in head. Sometimes known as BCL and the Rambler. They appeared from 1906 and prior to this was known as the firm Hill & Harrison (1884-1906). Their factory was in Liverpool and they used the trade name Rambler on several models (see below). Their stands on some (later models) do have the triangle like on the Collinsons who were also by co-incidence made in Liverpool. 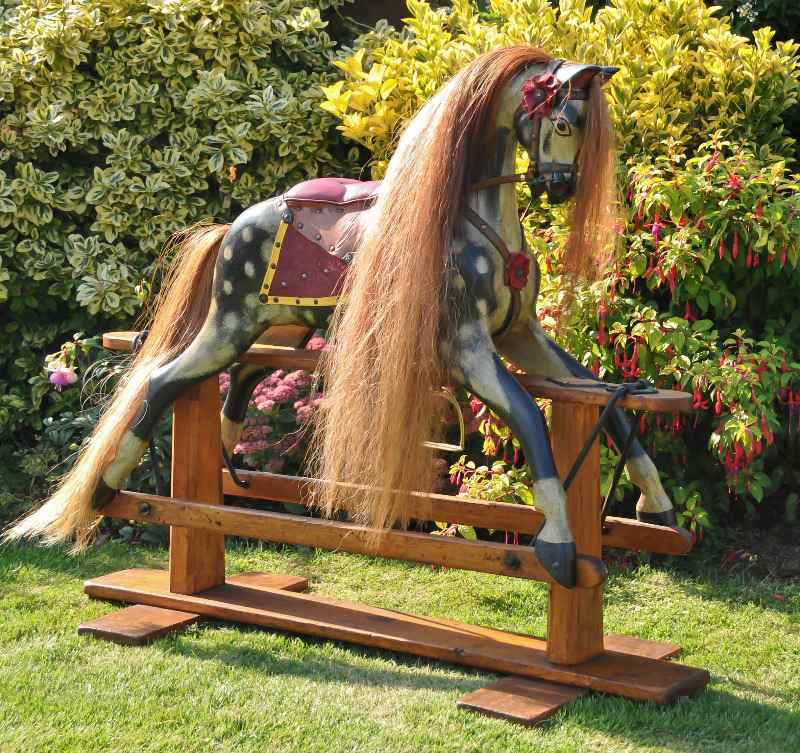 Photos show 1-2 is an early baby carriages the stand is more intricate 3 is the Baby Carriages Rambler and the photo shows both together (the Rambler has the brown mane and the earlier one the creamy mane. The stands vary.